A woman claimed £7270 of benefits she was not entitled to after she failed to tell the DWP her drug addicted partner was living with her. 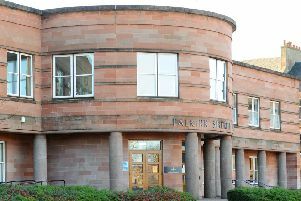 Melissa Kennedy (32) claimed £4256 of job seekers allowance and £3024 of housing benefit during the time the man was living at her 7 Dryburgh Avenue, Denny home. Appearing at Falkirk Sheriff Court last Thursday, Kennedy had pled guilty to the offence she committed between January 1, 2017 and February 11 2018. Kennedy was ordered to complete 225 hours unpaid work within nine months.